Today’s snack is one of the easy ones I kept up my sleeve so that I can quickly whip it up and serve even if I am having a busy day. It is cheap, easy and versatile! My husband and his friend (who comes over regularly) got quite sick of this when I first discovered this recipe as I was making it 2-3x a week! My friend, Valerie came over one day on a short notice. 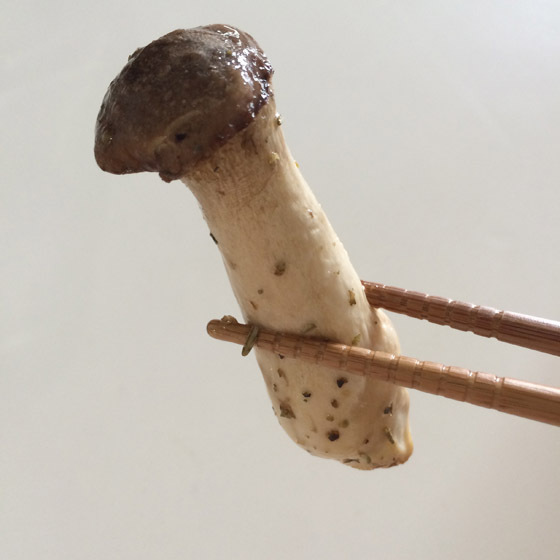 Seeing that I have a packet of the mushrooms in my fridge, I decided to make a quick snack out of it. She loved it so much that she made me teach her how to make it. Then, she tried to make it for her colleagues in her office pantry one day during lunch and they loved it as well. Happy to share! So be sure to check out the recipe!